No resource allocation is more important than the allocation of the most senior leaders responsible for shaping the identity and future of a brand. While the board of directors of most organizations only meets several times a year for a relatively short time compared to those in charge of day-to-day operations, the Board’s ultimate decisions define the organization’s long-term future. When it comes to decisions around CEO selection, dismissal, changes in strategic direction, major budgeting changes, investments, purchases, mergers and acquisitions, the board of directors is the ultimate authority. Numerous studies have found strong evidence of high correlation between quality of board-level team dynamics and organizational profitability. For example, an effective board with strong decision-making abilities, can impact profitability 8 times more than a single director. Therefore, it is vital for this small team to have the right elements in order to work effectively together. It is critical that the environment is the most conducive for the board to operate, because decisions taken by the board are often difficult to reverse once the wheels of implementation are in motion. It is generally accepted that the legal function of the board is ensure shareholder value is protected and enhanced over time. But in order to do this effectively and continuously, there are many organizational paths that the board needs to explore and consider. It is up to the Board to use their vast insights, experience and networks to steer senior management in the right direction. This requires long term strategic thinking and the ability to weight risks and opportunities, most of the time with lots of uncertainty. A 2013 global survey from McKinsey & Company identified that high performing boards invested 8 extra workdays a year on organizational strategy. Unfortunately, the quarter-by-quarter nature of financial market reporting has resulted in boards becoming more short-term oriented in their decision-making. This short-term focus is increasingly getting reflected in the urgency of organizations to meet quarterly targets above anything else and the increasingly shortening tenure of CEOs in publicly traded companies. Since 1999, the average tenure of CEOs in the US dropped from an average of 10 years to 8 years, with 40 per cent of CEOs lasting less than 2 years in their roles. In Asia Pacific, the average tenure of a CEO is even lower at 4 years. In 2013, CEOs of S&P 500 organizations switched jobs at the fastest pace since 2008, but average CEO tenure grew to 9.7 years, reversing a decade-long declining trend. In light of these trends, it becomes increasingly important for shareholders, who are the gatekeepers of the organization, to have direct responsibility for electing the board of directors. It requires them to have a strong and in-depth understanding of the qualities and characteristics of a board, which in turn can build an iconic organizational brand and brand portfolio. A poorly formed or haphazardly put together board jeopardises the present and the future of the organization through weak and ineffective decision-making. Boards are not only for publicly traded companies but are equally important for all organizations. Many business owners resist forming and working with a board for fear of losing their autonomy. This reluctance to draw on the expertise of others is the primary reason why close to 70% of family-owned businesses do not last beyond one generation. Start-ups where a founder is still in control are significantly less valuable compared to start-ups where a founder has given up a degree of control to a more formal group of advisors and specialists. Collectively, shareholders, start-up founders, family-owned and independent business owners must be acutely aware of the need to assemble the right board of directors. The size of a typical board of directors varies depending on the type of organization. In the United States, 11 members is now the norm in publicly traded organizations, whereas start-ups typically have 3 to 5 members in order to remain nimble during the early stages of growth. However, across organizations, having an odd number of directors to break deadlocks on important decisions is the norm. Regardless of their size, the two most important elements of an effective board today are its degrees of diversity and brand consciousness. When assembling a board of directors, the primary consideration to keep in mind is that the best boards are often the most diverse boards – not just in terms of skills, experience and beliefs, but also in terms of gender, age and ethnicity. Too many boardrooms suffer from too much homogeneity – overwhelmingly male with the same racial background, average age of 68 and all former CEOs and CFOs. In 2012, 58% of directors in boards of S&P 500 organizations were active CEOs or COOs, with another 35% being retired CEOs or COOs. In Asia Pacific, this homogeneity is even stronger with majority of boards comprising of individuals from the same ethnic group with some exceptions in Hong Kong, Malaysia and Singapore. A brand’s customers are a diverse group and the organization behind the brand should have a board that reflects this real world diversity so that it can be sensitive to the needs and aspirations of a wider variety of demographic groups, opportunities and is adaptable to the real environment. Different backgrounds represented in the board will ensure that ideas are tackled in different ways. Diversity also ensures a balanced approach towards risk-taking and greater dividends for shareholders. Recent research among the largest global companies has found that companies with at least one woman on the board of directors outperformed those with no women at all by an average of 26% over a five year period. Interestingly, organizations in Asia-Pacific with at least one woman on the board saw much greater outperformance than their American and European counterparts. Gender diversity can be a strong corporate performance driver. Age is an important factor influencing decision-making. As executives take fewer risks as they grow older, a more balanced leadership structure in terms of age-demographic is needed for brands and boards. Today, the average age of a board member is 68. Older CEOs, for example, typically invest less in R&D in favor of debt and risk reduction, which can become a danger for brands in a fast-moving world with empowered consumers and dissolving barriers to international competition. It has been measured that a 25% increase in a CEO’s age corresponds with an average decrease in R&D costs of 8%, a reduction in leverage of 13%, the introduction of more varied business units and acquisitions of more diversified rather than specialized companies. As indicated by the stock price outperformance of organizations with younger peers in the most senior executive positions, the inclusion of younger senior leaders pays off for shareholders in the long term. The objective of the boardroom is to safeguard shareholder value, so the board must act accordingly. A strong example of how a lack of ethnic diversity impacted a global icon is the case of Toyota, the world’s largest automaker. Following embarrassing safety defects in 2009, which severely tarnished the global image of their brand, Toyota recognized the need of appointing outside board members to avoid similar crisis in the future and appointed non-Japanese CEOs in the US, Africa, Latin America and Europe for the first time – a huge shift for Toyota which had always followed traditional Japanese management practices. This is not only true for Toyota but for a majority of Japanese organizations. In terms of age, Japan has the oldest directors on boards, with 89% coming from the baby boom generation. On the contrary, China is the opposite with the youngest directors on boards. Boards must include members who can outright disagree with one another and provide different viewpoints. While many think that a perfect board is one that is free of conflict, in reality the worst boards are those that are silent or are compliant. Diversity creates these vital discussion forums that boardrooms need to constantly test their strategies. The quality of board-level team dynamics, measured in terms of engagement, openness, solidarity, creativity, innovation, satisfaction and shared influence is highly correlated with profitability. If the primary objective of boardrooms is to build and sustain shareholder value, then boards must focus on their brand equity as a reputational asset in the minds of consumers, rather than simply the financial impact of their decisions. Compared to real assets and cash flows, strong brand equity is one of the main reasons the market capitalization of a company exceeds its book value. On the New York Stock Exchange and NASDAQ, for example, intangible assets are account for 50–75 percent of the market capitalization of listed companies. In spite of this hard evidence, branding as a strategic process is often relegated to a tactical activity level, managed by mid-level and functional managers. David Packard, the co-founder of Hewlett-Packard, once famously observed that “marketing is too important to be left to marketing people”. Similarly, boardrooms must take charge of the organization’s brand strategy and be fully involved in its design, rollout and implementation. When two-thirds of brand managers say that their brands do not influence corporate decisions at the highest level, it is another way of saying that two-thirds of companies are not strategically following through on their promise to consumers. The best way to combat this vacancy of brand-orientation in the boardroom is to include a representative of the consumer on the board – the Chief Marketing Officer (CMO). In 2014, less than 40 of the nearly 10,000 board seats available at Fortune 1000 companies were filled by a CMO. Moving forward in the age of the consumer, a board of directors assembled only from those with technology, operations or finance backgrounds will not be sufficient for sustained growth and enhanced shareholder value. 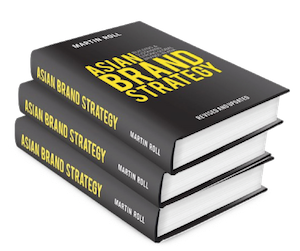 Strong brand focused organizations have significant representation of senior executives responsible for brand strategy on their boards. It is increasingly becoming critical for boards to have an in-depth understanding and sensitivity of not only brands owned and manufactured by the organization, but of the organizational brand itself (the corporate brand). CMOs and CFOs are focused on vastly different measures of performance. While the CMO typically focuses on top line growth measures such as loyalty, resonance and engagement, CFOs focus mostly on the bottom line. Yet, both functions are pivotal to creating and sustaining shareholder value. The problem is that one typically has much more power and influence on strategy than the other, and consequently, cost-cutting measures often trump longer-term, less tangible branding efforts. There is good news, however. Three quarters of CMOs and CFOs believe it is important to be aligned with each other and companies where marketing and finance work closely together are outperforming expectations. CMOs generally have to work harder to justify their places on the boards, which is primarily driven by legacy mind sets and thinking. CFOs are considered pragmatic while CMOs have to prove that they are not only marketers but also individuals with strong commercial acumen and the ability to deliver growth. Those companies that are most effective have found ways to identify key performance indicator (KPI) metrics that matter to both CMOs and CFOs. Bringing deeper analytics in to branding strategies has also allowed many marketing functions to become more cost-effective by improving their targeting, effectiveness and efficiency – ideas any CFO can get behind. To drive growth and remain relevant in the future, boards must embrace an approach focused on understanding customers. CMOs are key to the success of this approach through their interpretation of the ideal organizational structure, the need for new technology, partnerships and the vision to prepare for future challenges. Boards need to look further ahead than anyone else in the organization, yet too often they are the last to observe the need for change. Notorious for being insulated from the voices of consumers, boards should be raising the profile of CMOs and partnering them more closely with incumbent board members such as the CFO to help bridge this information and strategic gap. Some organizations have already taken active steps in this direction. Fujitsu recently appointed its CMO to the board of directors, while the Chief Market Leader of Philips sits on the board. For the majority of companies who fail to achieve sustained value creation, their failure nearly always boils down to the vision and execution, or lack thereof, of the pinnacle of leadership within organizations – the board of directors. While most companies start with a product or service and haphazardly evolve a brand vision over time, it is the responsibility of the boardroom to begin with the brand vision in mind and use it to guide their decisions of what to offer and how to serve their consumers. To ensure that adequate checks and balances are in place, a more diverse cast is required – not just in terms of marketing expertise, but demographics. The shareholders of publicly traded companies and owners of private companies must understand that the benefit and priority function of the board of directors should be to develop sustained brand equity that translates in to the enduring profitability that shareholders desire most.